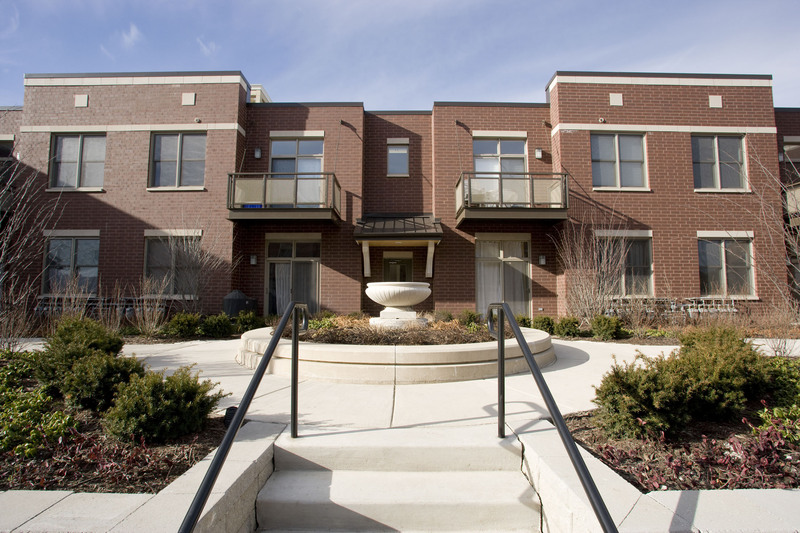 FitzGerald Associates provided full architectural services for these attractive flat-style apartments designed as a component of the University Village East master plan. 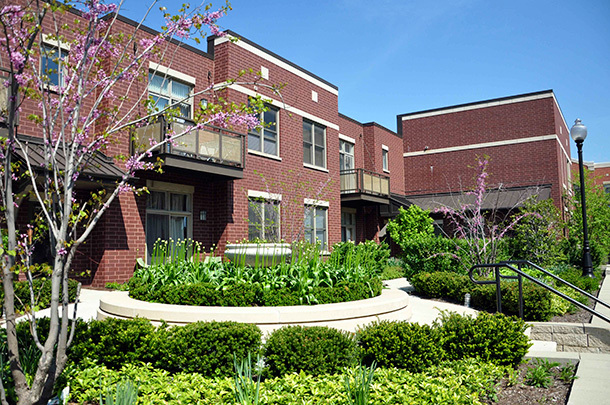 With a prominent location along Halsted Street, the buildings provide walk-up access in the rear with a landscaped courtyard and off-street parking area. 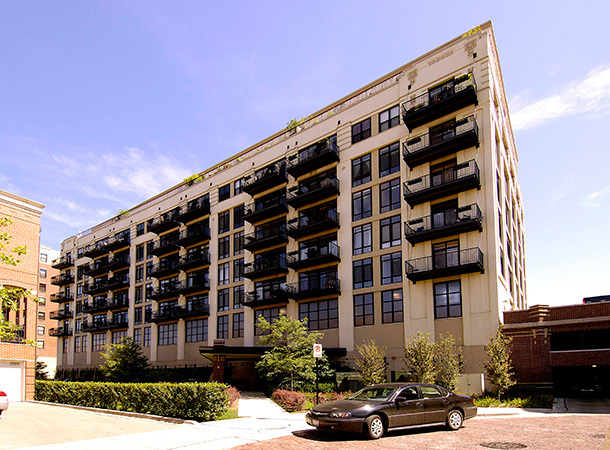 Units look out over the streetscape with private yards on the ground floor and balconies above. 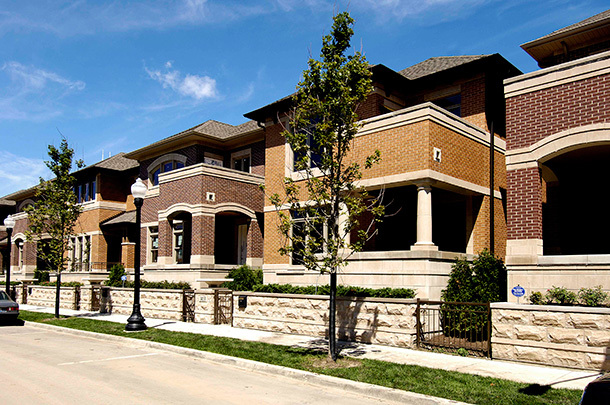 The University Village East project represents the final piece of a larger public/private planning venture on land surrounding and designed in collaboration with the University of Illinois at Chicago campus as the University sought to convert itself from a commuter-centric institution to a fully residential university. 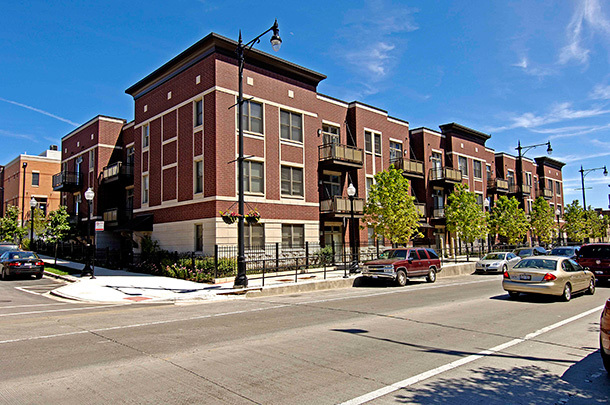 Optimizing its near-downtown location and proximity to the historic Maxwell Street Market, the project creates a desirable mixed-use residential area ideally suited for professionals, faculty and postgraduate students in a variety of product types.